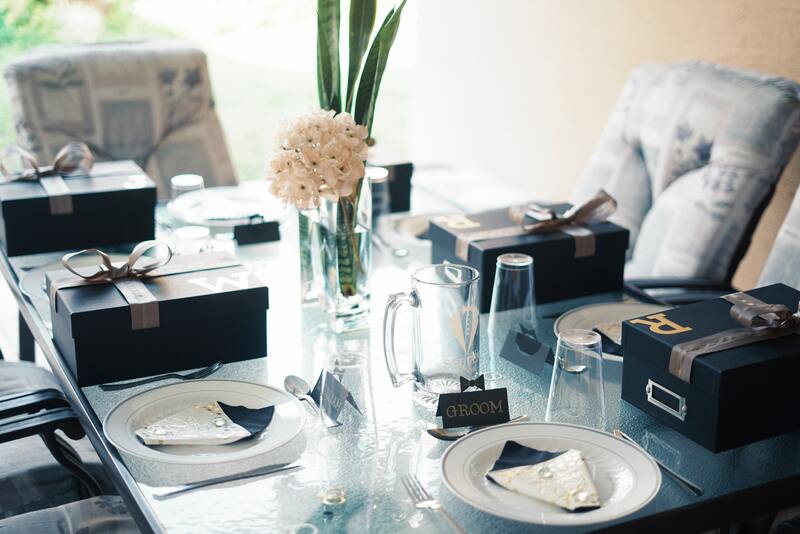 One of the most memorable takeaways for your wedding guests is their wedding favour. These traditionally have consisted of edible items like sweets, but why not offer them something they can keep forever? 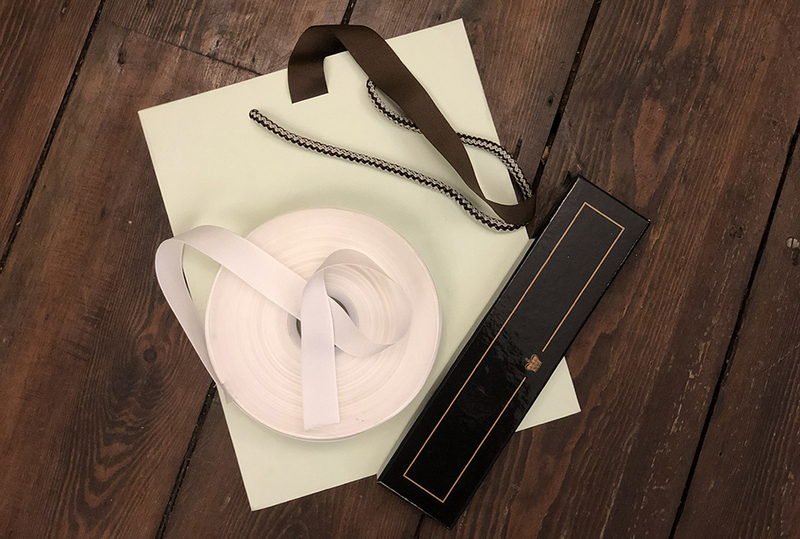 Wedding favour gift boxes are so much fun to unwrap and to bring home as a momentum of the big day, so get creative with a personalised gift box that can keep their keepsake safe! Show your love with a mixtape! Wedding guests can keep partying long after the reception and will remember your first dance for years to come if you share your wedding playlist with them. 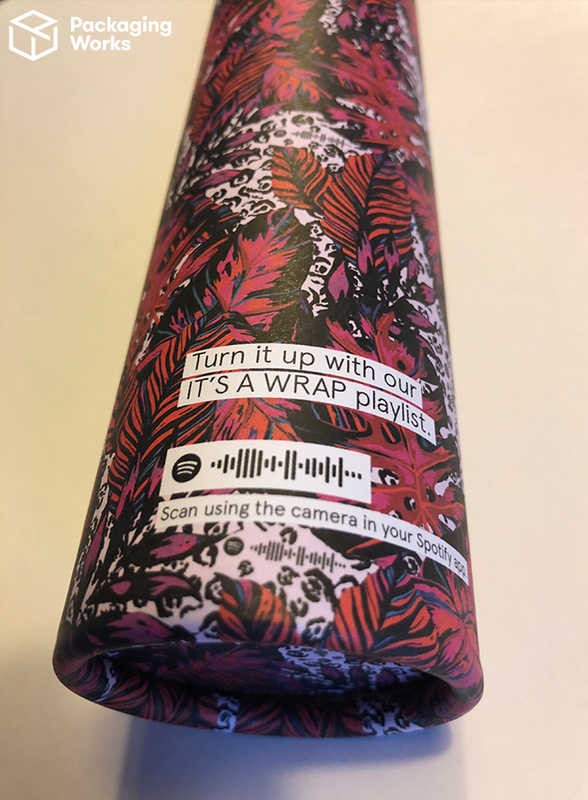 You could even create a Spotify code to be printed directly onto the gift box for guests who are tech-savvy! Seed packets: your wedding guests can watch your love blossom after they plant the seeds! Or, opt for mini succulents if your guests aren’t as green-thumbed as yourself. A hangover kit might be handy for those of you throwing a boozy reception! Include some Alka Seltzer, a face mask, some crisps or whatever your go-to hangover remedy is. Photobooth props for guests to get insta-ready for your wedding hashtag. Tealight holders or decorations for those of you with a sentimental side. Busy bags to keep little ones entertained on the evening! Bubble wands are always fun. Temporary tattoos with your wedding hashtag for all the punk brides out there. Whatever you choose as your wedding favour, we can create a bespoke gift box or gift bag to present it in. Our packaging options are entirely bespoke – yet affordable – and can come in whatever size, colour, design or shape you desire! Simply email info@packaging-works.co.uk with your ideas or try out our online box designer tool to find out what we can offer.